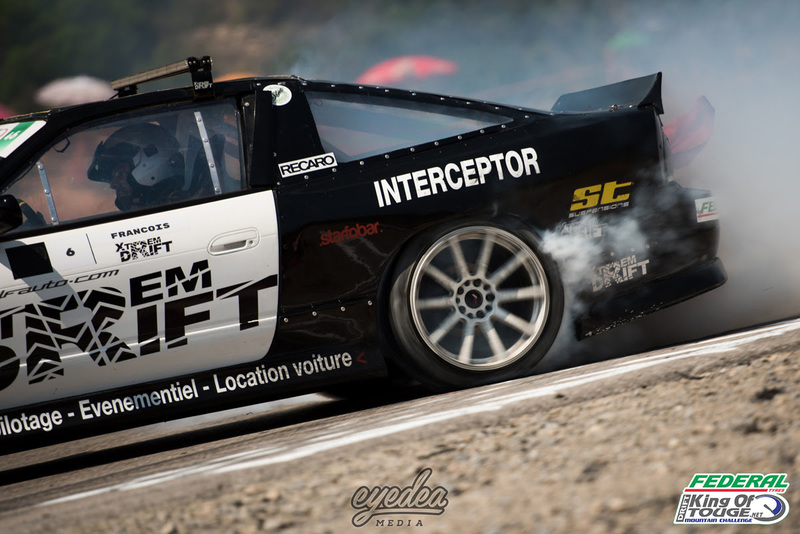 Home > Drift > Drifting > Norbert Kovacik lands his second consecutive win after an intense final! Norbert Kovacik lands his second consecutive win after an intense final! 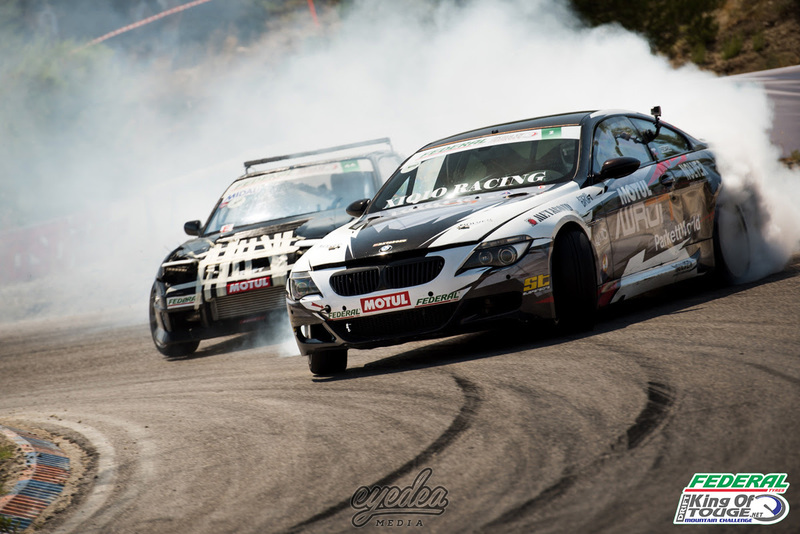 As the Federal Tyres King of Touge series continued, a mix of countries from across Europe would fight it out against a predominantly French and Spanish driver list for the top spots in Can Padro, Barcelona which also played host to some of the closest battles of the 2016 King of Europe season. There would barely be a cloud in the sky as drivers begun slaying the asphalt in the Spanish sun as the soaring heat surprisingly caused very few car issues throughout the weekend. Saturday would give the drivers a full day of practice to perfect their laps and nail the tandem battles before the main event took place on Sunday. After landing the third spot on the podium at Round 1 in France, Axel Francois was here to fight for the top spot and he did so with incredible style during qualifying as he achieved a stunning score of 94 points. 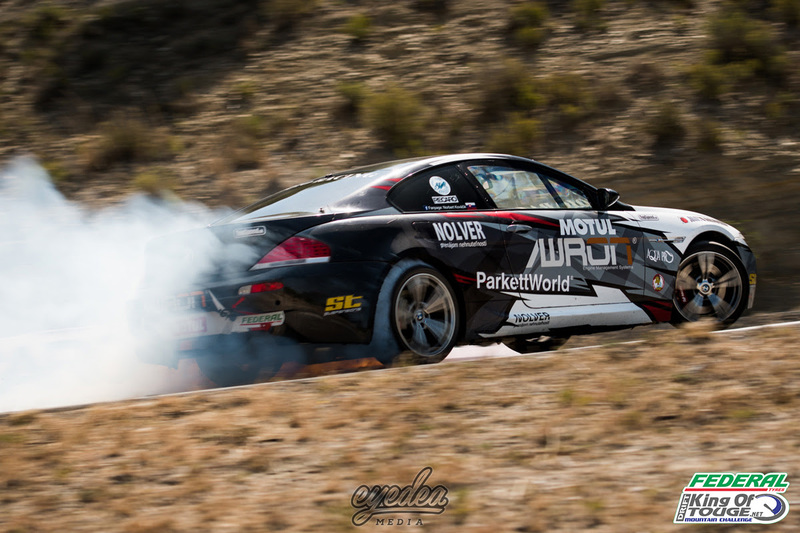 Series leader and reigning Champion Norbert Kovacik certainly did not disappoint either, piloting his V8 bi-turbo BMW M6 to second place with an impressive 90 points. 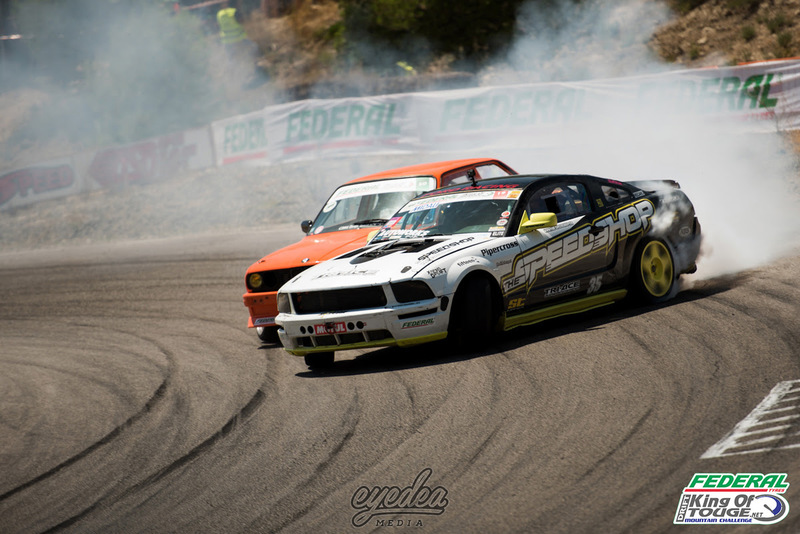 After throwing down great laps throughout the weekend in his supercharged V8 Ford Mustang, Swiss driver Raffaele Zanato landed third place, narrowly trailing with 89 points. 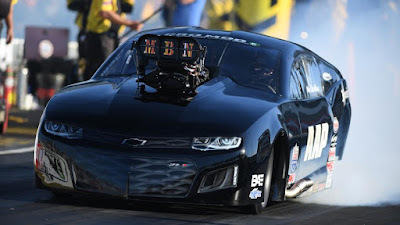 It was far from a smooth start to the weekend for Mike Kauffmann who almost failed to attend, but he pushed to ensure that he remains in the running for the Championship as he took fourth place with 89 points. German driver Michael Schneider took sixth place with Rubens Balanos taking the highest position of the local drivers in seventh with the two drivers’ level on overall points. 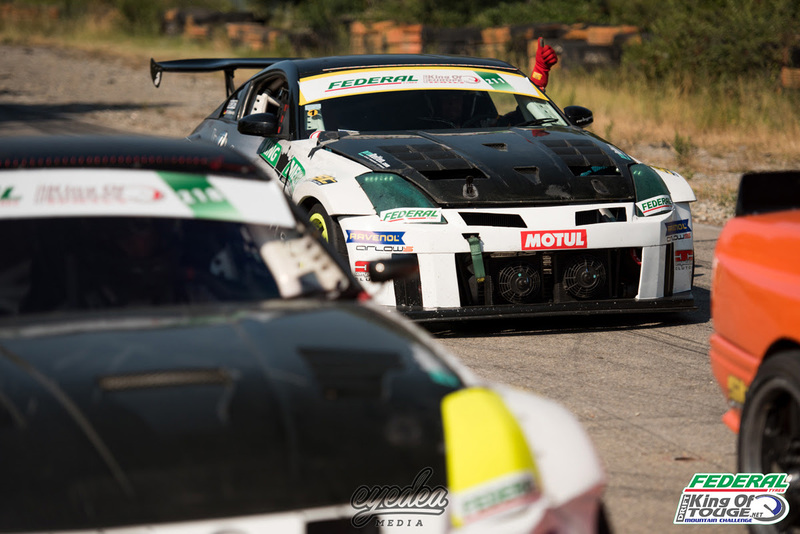 As the crowd flocked to watch the action go down in the afternoon, they would certainly be in for a treat as the drivers once again pushed the boundaries when it comes to the battles, displaying the ‘Go hard or go home’ mentality which the series is best known for. 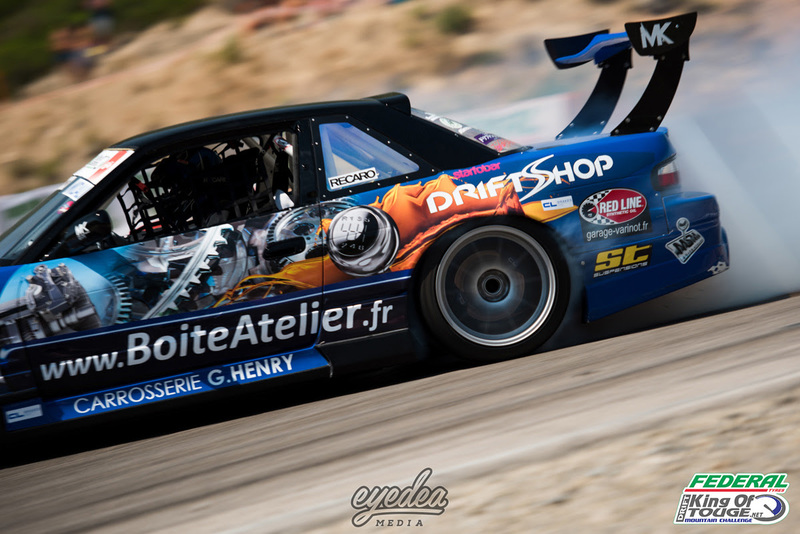 Early casualties in the Top 16 battles would include Alexej Dorn who had been throwing huge smoke clouds around the circuit throughout the weekend as he conceded defeat to Sebastien Peyre. His Turbogarage teammate Michael Schneider would unfortunately join him after losing out to Lorenc Padro. A mistake from Michael Perino also marked the end of his weekend as local driver Alex Benito progressed. Raffaele Zanato’s fine form continued against Rodrigo Gallo as he also ensured his spot in the Top 8. 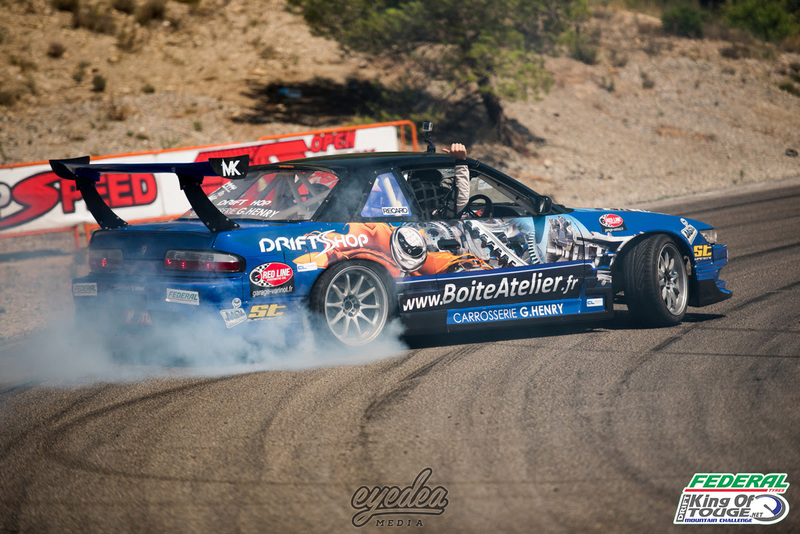 In the first Top 8 battle, two French drivers Francois and Peyre would go head-to head. 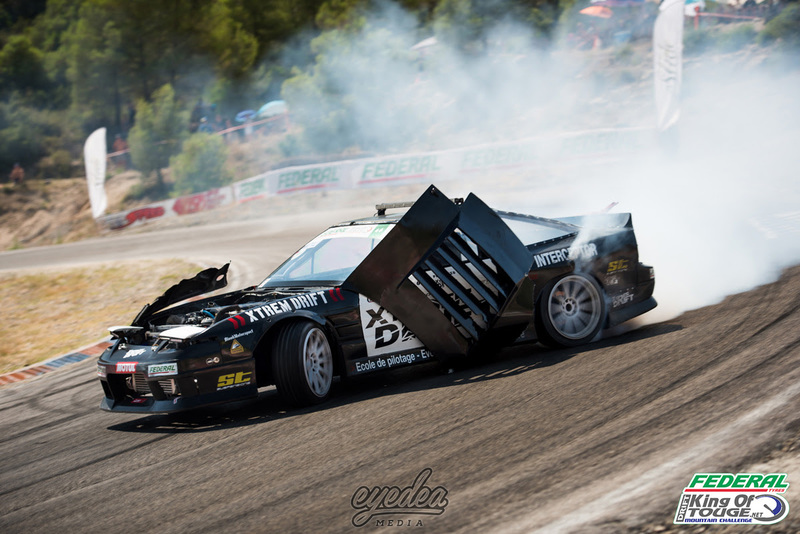 After reaching the final at Round 1, Peyre made a mistake in the final run which rendered his car unusable. 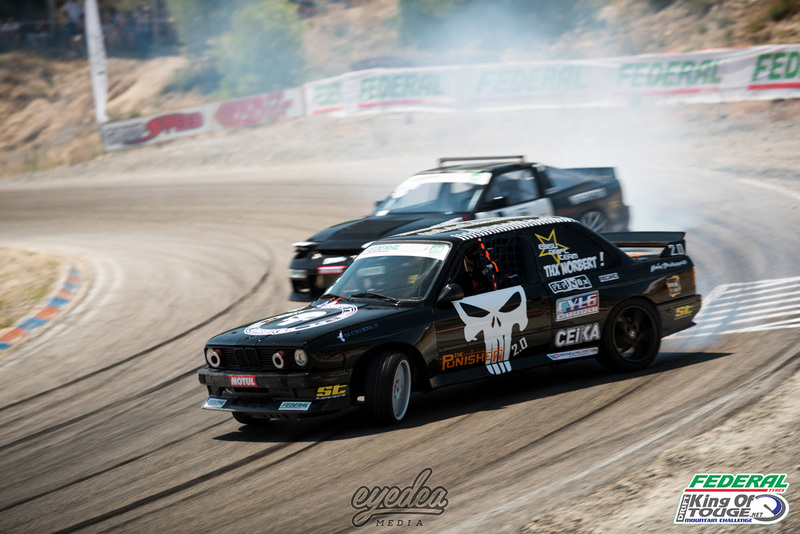 In true drift spirit, using money donated by the other two podium winners, Axel and Kovacik, Peyre was able to get the brand new build ready in time for the event. As the two friends went up against each other it would this time be Axel who edged past to land his spot in the semi-finals. Mike Kauffmann’s weekend continued to improve as he progressed past Lorenc Padro to land his spot in the semi-finals against fellow compatriot Axel Francois. After a 5-5 draw in the opening run, Benoit Vavasseur continued to stun the crowds as he continued to put on some of the most intense chase-runs we’ve witnessed this season as he ended Raffaele Zanato’s weekend. Norbert Kovacik’s consistency once again landed him his spot in the semi-finals as he went head-to-head with Vavasseur, despite impressing throughout the weekend the Slovakian would stop Vavasseur in his tracks to progress to the final. 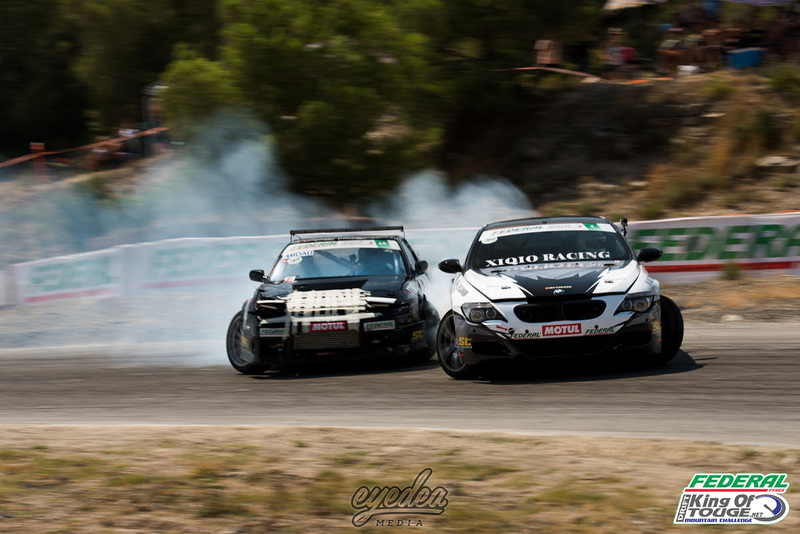 Two experienced Touge drivers, Francois and Kauffmann once again had the crowd roaring as the judges failed to decide a winner, forcing a one-more-time battle. It would then be Francois’s consistency that handed him his first spot in the finals this season! In the small final, despite getting closer than ever, it was not to be for Vavasseur this time. He will undoubtedly be fighting for the podium in the French final. Mike Kauffmann was clearly delighted to secure his first spot on the podium this season after his difficult weekend ended on a high. As the final got underway, both drivers initiated into the first corner before a malfunction for Francois left his car resembling the Batmobile! 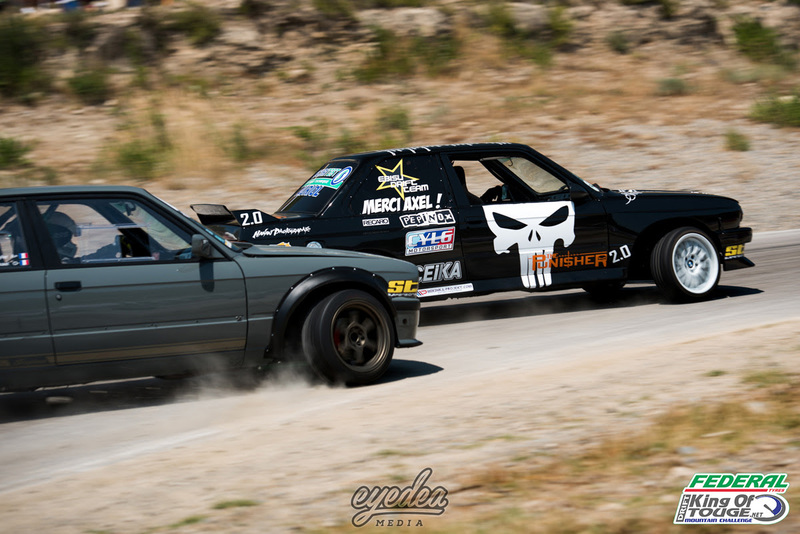 With the car repaired and both drivers returning to the start-line, two incredible battles once again left the judges unable to decide a winner. 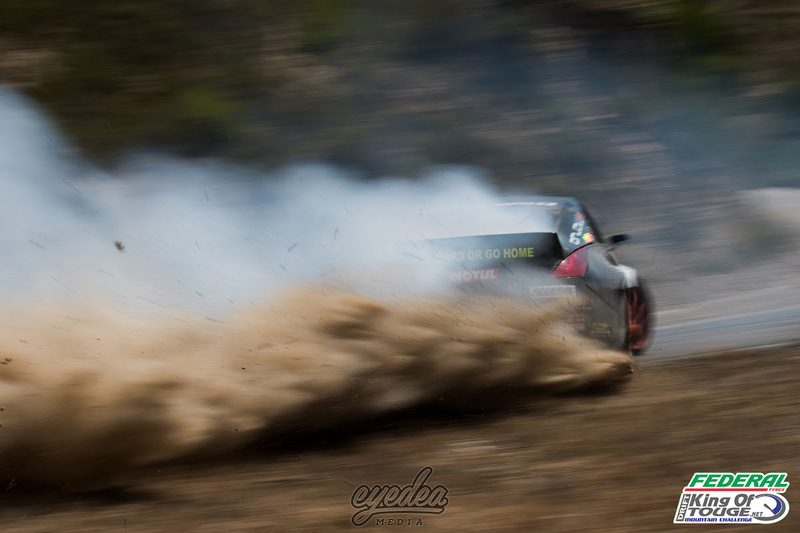 In the one-more-time decider, a rare mistake from Axel Francois meant that the 10-0 advantage was enough for Norbert Kovacik to land his second consecutive win in the King of Touge series, as he deservedly continues in the top spot of the overall rankings. With two consecutive podiums, Axel Francois now occupies second place, just 26 points behind Kovacik and 32 points ahead of Sebastien Peyre. With the usual double points available in the final round in Les 7 Laux, France, it is undoubtedly going to be an intense decider as literally anything could happen! 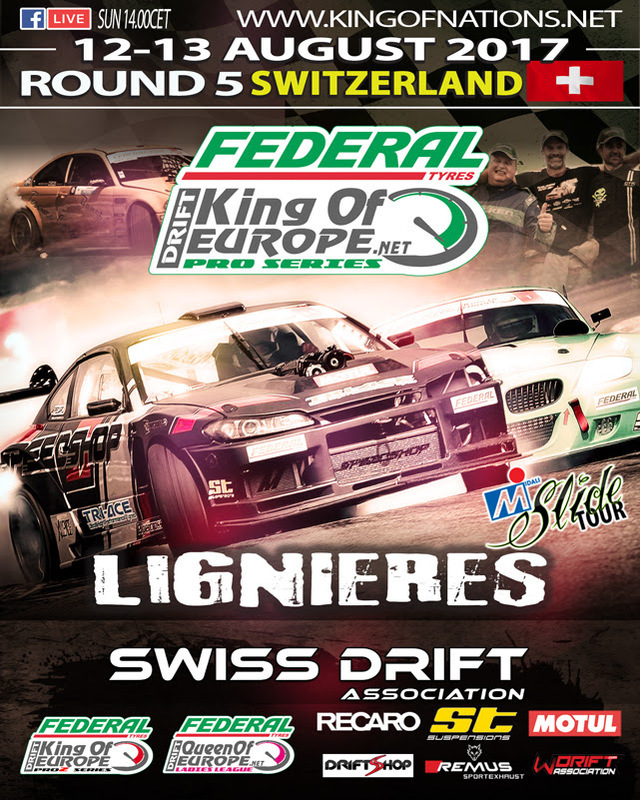 Before the King of Touge final, we head to Lignieres, Switzerland as we continue the Federal Tyres King of Europe series. With the quickest sold-out driver list of the year so far, this is set to be an epic encounter! 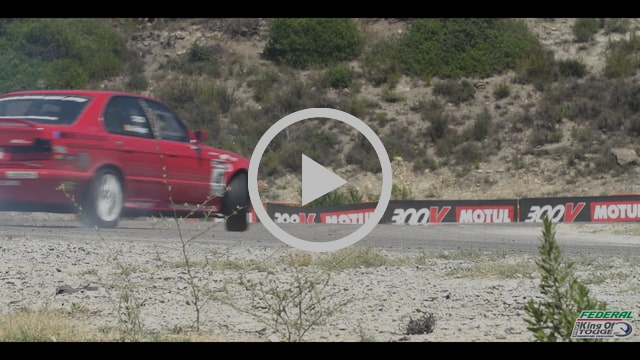 Make sure you head to the event or tune into the livestream to witness the action!